Miss Kentucky USA, Tara Elizabeth Conner as MISS USAÆ 2006. Miss USA, Chelsea Cooley throughout the live telecast. Procter and Gamble, Gina Drosos. swimsuit, evening gown and interview. were selected before the crowning. audience of more than 250 million. Miss Florida USA, Cristin Duren. Miss Texas USA, Lauren Lanning. Miss Photogenic Award: Miss Florida USA, Cristin Duren. through the lens of a camera. Congeniality Award: Miss Minnesota USA, Dottie Cannon. Behind the scenes rehearsal photos here! Thanks for the special access to Paula Shugart, Rachel Frimer,Gail Holmes, Scott Grossman, Phil Gurin, Lark-Marie Anton and all my wonderful new frends at the MUO. It was wonderful to see you and your mom at the pageant - long time no see! Please tell your mom it was great to see her - she looks the same. I was honored to be named Miss Congeniality too! It was disappointing that I did not place higher, but the experience was still eye-opening. I think that Tara will be a good Miss USA - she surprised me during the pageant - she has a lot more to her than most people think! "Hey John! 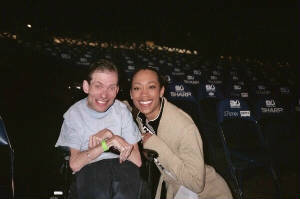 It was great to see you at the Miss USA pageant - you have always been a faithful supporter and I thank you for that! Plus it's always nice to see you and your mom each year! Competing at the Miss USA pageant was a lifetime goal and I am forever grateful for that experience. I learned so much about myself throughout the entire three week process - and the months before while I was training. Although I did not walk away with the title, I returned home with countless stories and amazing friends from across the US." JHB ONLINE proudly supports our friends, DOTTIE CANNON, Miss Minnesota-USA 2006 & TAMIKO NASH, Miss California-USA 2006. Best of luck @ MISS USA April 21 in Baltimore on NBC! Remember:"Make the most of this incredible opportunity and experience. We are so honored to share it with you. If you concentrate on absorbing the journey the outcome can only be positive, regardless of the result!" Good wishes to all 51 competitors as well! Congrats, Dottie on being named Miss Congeniality @ MISS USA: We love you!!!!!!!!! Hi! 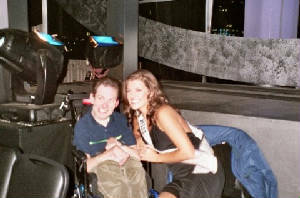 This is Dottie Cannon - I met you and your mom at the 2004 Miss USA pageant in Los Angeles, CA. I was there with my friend, Jessica Billings, all the way from Minnesota. We sat by you during the Preliminary competition - how much fun was that?!?! I wanted to let you know that I still love receiving your updates. Also, I decided to compete in the Miss USA pageant this year (again!) and I won! I am so excited about this opportunity and cannot wait for Nationals - hopefully I will see you there! You are probably at the Miss America competition now, so enjoy and have fun! Have a great day and I hope you are enjoying the new year! Congrats on being named 1st Runner up to MISS USA...We're so proud of you! Twin Cities.com interview W/ Dottie Cannon, Miss MN-USA '06! Here's a photo of me with Miss USA 2005, Chelsea Cooley at a recent taping of "DEAL OR NO DEAL" -- a special upcoming MISS USA edition. See some of you in Baltimore, I hope! I will continue to keep you and your lovely mother in my prayers. You know, I have been so blessed to meet such wonderful people as a result from being Miss USA; as you are one of my favorites! You always put a smile on my face and have such a warm gift of touching the lives of everyone you meet. I am working on going to Miss Teen USA and I hope I can see you there! Please say hello to your mom for me! !